I hope you are all doing well and are having a lovely start to the week. Today I thought I would share with you one of the newest editions to my candle collection (I say collection because I absolutely love candles). There is nothing I love more than lighting a candle when I am feeling stressed, when I am in pamper mode or I just want a pretty accent somewhere in the house. You might have seen this particular candle before as it was sitting beautifully on my table in my recent YouTube video that you can see here - it looked so pretty and the scent was incredible! I always love talking about candles over on my blog because I have such a huge love for them. 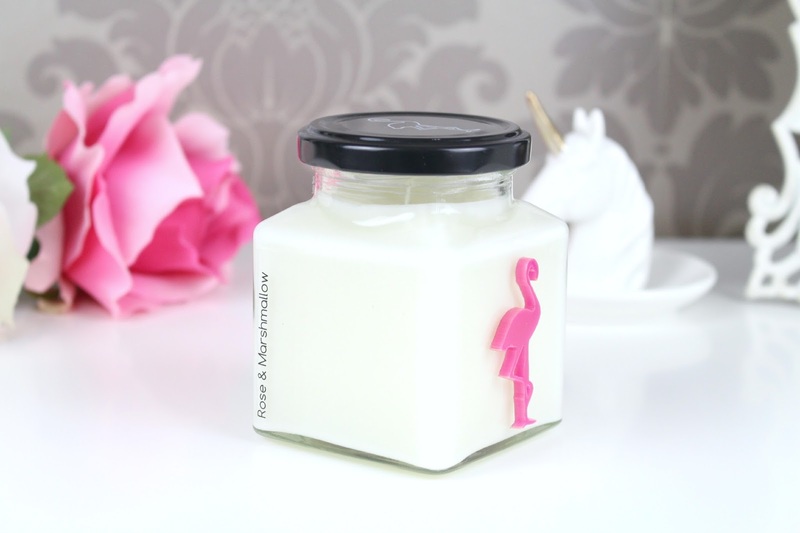 I reviewed a Flamingo Candle on my blog the end of last year (review here) and I was so impressed. Since then Flamingo Candles have sent me a gorgeous selection of candles to try and I can't wait to share them with you. If you are not sure who Flamingo Candles are, they are a fresh new brand offering fun and original collections of handmade, organic candles. Quirky contemporary designs, always making sure to incorporate their dapper friend Florrie the Flamingo. Each candle is handed-pured in Britain to the highest quality. Each candle is made with soybeans, natural cotton wicks and are all packed with unique, scrumptious fragrances. There are five beautiful scents in the collection; Rose & Marshmallow, Raspberry & Salted Caramel, Mango & Dragonfruit, Green Apples and Daisy - how delicious do they all sound?! I was asked to choose a scent from their new Spring / Summer 2015 Collection and I was instantly drawn to Rose & Marshmallow. When I picked the scent I wasn't 100% sure what I was getting myself in for. I knew it was going to be sugary goodness but I couldn't help but think how strong the rose might come across. Don't get me wrong I do love a rose scent but sometimes they can be incredibly overpowering for me personally. When you first open the jar you are welcomes with a delightful sugary rose accord which offers the perfect balance between the main ingredients that somehow manages to fill a room. Then once you light the candle it just enhances the scent even more, leaving a delightful lingering scent. Floral and sugary, Rose and Marshmallow is the ultimate sweet combination. It has base notes of sandalwood, musk, rose and orchid blend with fruity mandarin, cherry, raspberry and creamy vanilla, coconut and of course marshmallow. Overall, yet again I was left completely impressed with these candles and I can't wait to try more. The burning time is still around 50 hours which I think it pretty great. At the moment I have had the pleasure of trying Macaroon & Almond, Rose & Marshmallow, Cheesecake Crunch and Mulled Wine & Berries (Christmas Collection). I think for £12 these Flamingo Candles are definitely worth the extra little splurge and I think they would even make a lovely gift. Don't forget graduation season is approaching and these would make a lovely congratulations token or a perfect gift for any occasion. I love how the packaging looks so luxuriously chic yet chubby chic and how they look sitting out on display...the cute little Flamingo just adds that little bit of character to the range. Even though it'll be bitter sweet when the candle is finished, I love how you could potentially use the empty jars for makeup and beauty storage. Just add a little glitter, some beads (for makeup brushes) a ribbon and you are good to go. I hope you all enjoyed this post! 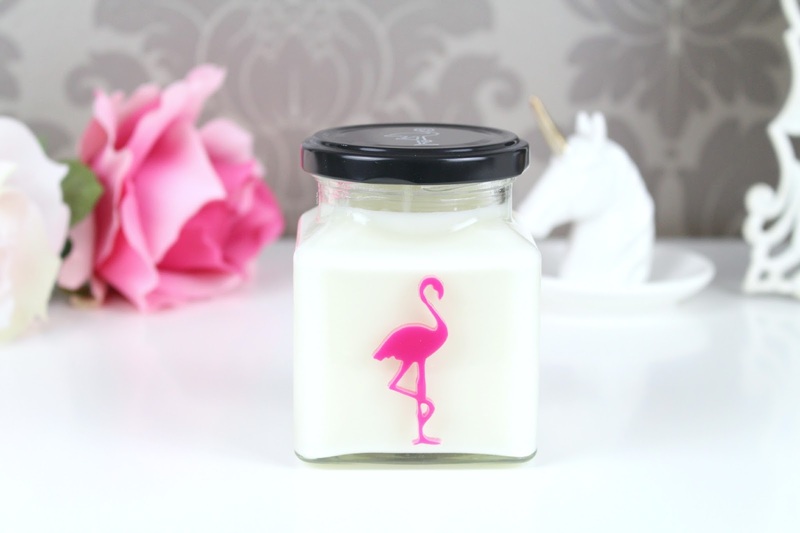 I would love to know what you think about Flamingo Candles and if you would give them a try. If you would like to take a peek through the website you can do so by clicking here. 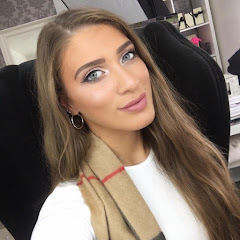 I have already taken a mother peek through the website and I have my heart set on trying something from their new Cocktails Collection - the Mojito candle is calling my name haha! Like always lovelies, if you have any questions, requests or if you just want a chat you can contact me on my social media or leave me a comment below. I love hearing from you all and I make sure to read every single comment…they really make my day! What do you think about Flamingo Candles? Which scent would you love to try? This looks like such a good candle! And to burn for 50 hours!? That's ages! I really want to try one of the Flamingo Candles! these look really cute and perfect presents!! Oh but it looks so cute! I couldn't deal with the overpowering rose scent though, I'm more a basic scent gal - vanilla, coconut.